Brilliant for both office and home, succulent plants can bring back the summer freshness with their juicy stems and leaves! These easy to care beauties can liven up the interiors and can unfurl nature's serenity right into the room. 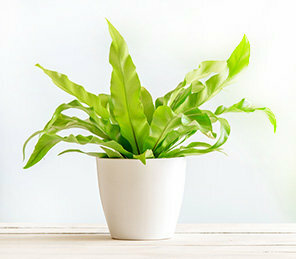 With the advent of time, houseplants have become the trending choices in the gift category. These have become symbolic to the gifts of love and care. Leaving behind so many diverse gift options, these evergreen potted succulents have become the most wanted viable option that everybody wishes to surprise their loved ones with. Easy to care, these continuously remind your special someone of you and at the same time beautify the interiors in an unimaginable way. Of course, you can locate a nearby nursery and shop cactus and succulents, and other Flowering plants, however, the real comfort lies in ordering indoor succulent plants from the comforts of your couch and getting it delivered via a hassle-free and punctual online delivery. Hold up before the thought of browsing through multiple websites strikes your head, because FlowerAura, the leading gift portal of India is offering a diverse range of air purifying plants at pocket-friendly rates. That’s right, availing flowering succulents at minimal rates, you can order a world of evergreen liveliness for your dearest ones. Every now and then, whenever a celebratory moment approaches, all you can think off is wish them a world of well being and warm their hearts at the same time. And to do so, indoor succulents are perfect sureshots. Easy to maintain, these are fleshy green plants that require less attention as compared to many other indoor plant varieties. One can easily take care of them by watering them as required, providing the adequate combination of shade and sunlight and also, on the other hand, these are attractive to look at and can adorn the room beautifully. Well, then what’s with the wait, order succulent plants online from FlowerAura and get it delivered across 200+ cities of India. You don’t have to track down the nearest nursery as our online portal avails succulent cactus right at your fingertips and lets you choose the delivery of it as per your accordance. Our online portal also offers you to customize the pot of your succulent plant, either you can choose to send it in fancy colorful pots or select an elegant one for their desk. No matter which one you choose to send, our online gift delivery will make sure to reach out to your loved ones heartwarmingly. Crassula succulent, Aloe Rauhii, Sedums, Red and yellow moon cactus, you can choose as many as you wish from the nurturing variety. FlowerAura’s online will make sure to carefully hand-deliver the plant to let your near and dear ones grow in happiness via its express delivery. Swift, punctual, hassle-free, our multiple delivery options enable users to even take care of their last-minute realizations. Succulents love well-draining soil. Make sure your pot comprises of the same as it nourishes them all year around. Ignore the common misconception that succulents don’t need enough water. They are sure not to thrive in a drought-like situation, thus, water when the soil is dry. Succulents do best in bright but indirect sunlight. Avoid burning and scorching your plants, provide them enough shade but make sure they receive enough sunlight. Use well balanced organic fertilizer and feed the plants at the beginning of the plant’s growing season.